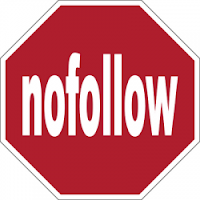 'No follow' tags are really important in search engine optimization (SEO) process. These tags were once used as to 'no follow' the entire page content by using the tag. This is extremely important to implement of your pages which are meant to be as table of contents or archives page where all of your blogs articles are. The Archives page of this blog have all the links as "no follow". This tells the search engines bot to not to share the page rank with those links. The bots just treat these no follow liniks as simple text. Though this isnt good for page rank follow, but arcivhes pages are not meant to serve that very purpose. We apply this tag to the archives in order to avoid the link spamming which can destroy your present page ranks in no times. Google penalize the sites that try to spam links on a particular pages. In order to make sure that your blogs page rank is equally distributed among all of your blog articles, you should either use 'Related Post by Feed burner' or manually add the links of the related post to a particular article. &lt;a href="Your Post Link" rel="nofollow"
Don't use the bloggers default 'link' button to add the links to your archives page. Instead Go to the Edit HTML option of that page and use the above link to no follow all of your blog posts links in archives page. Add your post link followed by the heading in the places highlighted with red. It would be much easy to implement this in the early stage of your blog with less links. Otherwise with thousands of articles it would be next to impossible to do it.